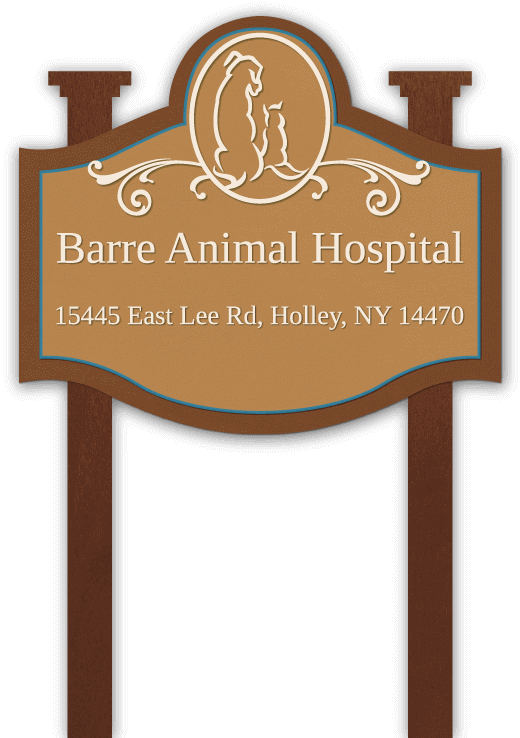 Our Mission: Here at Barre Animal Hospital we value the human-animal-family bond and together with you make educated veterinary care decisions based on your pet’s unique needs. 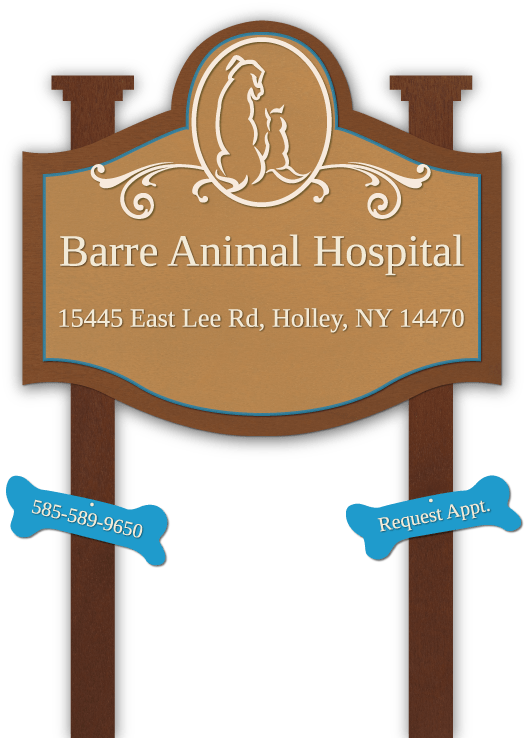 Orleans County and Brockport area “pet parents” like yourself trust Barre Animal Hospital as their veterinarian because of the one thing they simply cannot find at other practices in the area: customized service with a personal touch. The reason we’re able to extend such a warm & welcoming experience is not based on our services or amenities. Its rooted in the way that we treat people and their pets…as members of our family. We understand the bond you share with your pet, and we strive to nurture that bond in everything we do. Part of nurturing this bond comes from providing your pets the proper care they need to maintain their best quality of life. To assist in this, we are happy to provide comprehensive services for all of our patients. Whether it is an annual wellness exam, surgery, or laser therapy to recover from an injury or procedure, you can trust Barre Animal Hospital to care for your pet. Contact us today to schedule your pet’s appointment or call us at 585-589-9650! Barre Animal Hospital and Dr. Neno are strong supporters of the Animal Relief Foundation in Aruba. This area has an extremely high kill rate, and these animals need assistance in finding forever homes in the United States. Every donation goes toward helping save these animals. In 2015, with the help of many volunteer veterinarians, they were able to spay & neuter over 300 dogs in one week, to hopefully minimize the problem with stray animals. To learn how you can help make a difference in these animals lives, or to make a donation, please visit: www.arf-aruba.com. Proudly serving the Orleans County and Brockport communities. Come on in and see what a difference personalized care can make!